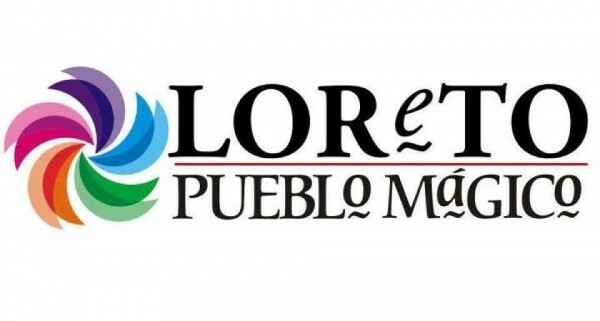 Those of us who have discovered this gem in the rough have known intuitively what the Mexican government has just announced: Loreto is the newest pueblo to be added to the list of “Pueblos Mágicos” (Magical Villages). What is Loreto’s magic? The sea, the history, the adventure; an inexplicable state of mind; a simpler, less hurried life in a calmer and friendlier mode, along with the understated wonder of life lived in the present tense. Pueblo Mágico is an initiative of Mexico’s Secretary of Tourism that highlights destinations in Mexico that are special in a cultural or historical way, and by reason of their natural beauty, cultural riches, historical relevance, and authentic charm offer visitors the opportunity of a “magical” experience. 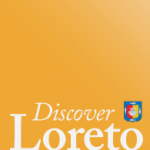 It also supports eco-tourism, adventure tourism, and rural tourism, which certainly are aspects of Loreto’s charm. Talk to any expat who has found their way here and you are likely to hear a story of a series of coincidences, chances, flukes, accidents, or a simple twist of fate—that captured their heart and their imagination, and led them to take a leap of faith. Many expats have 30-year histories of fishing trips with their fathers in the Sea of Cortez, road trips down the rustic desert peninsula, or camping on pristine Baja beaches. Mexican nationals have found their way from the mainland back to the simpler life, to a safe place to raise their children by the sparkling blue Sea of Cortez. More recently, activities and adventures may have included petting baby whales at one of the protected lagoons on the Pacific, surfing at Scorpion Bay, enjoying playful dolphins on the Sea of Cortez, turtle tagging at Isla Coronado, picnicking on white sand beaches of Isla Carmen or sailing to the islands of Danazante, Catalina, or Montserrat. 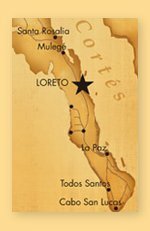 Historical relevance—Loreto is the site of the first mission of the Californias, Mision de Nuestra Señora de Loreto, which was built soon after Loreto was discovered by Spanish explorers in 1697. There are several annual fiestas that celebrate the town’s history. Environmental beauty—Loreto is a meeting place of mountains, desert, and sea. Its coastline has been declared a National Marine Park featuring over 800 species of marine life. Adventure sports—Within reach of Loreto are numerous outdoor adventure opportunities: sea kayaking, deep sea fishing, pack mule trips, snorkeling, whale watching, rock climbing, or island hopping by sailboat or panga. Culinary delights—Loreto’s sea life provides the main ingredient for restaurant magic, featuring local chocolate clams and local fish such as yellowtail (jurel), sea bass (cabrilla), and parrotfish (perico), all offered along with traditional Mexican fare. Those of us that call Loreto home or a favorite vacation destination are delighted by the designation of “Pueblo Mágico” and look forward to seeing what will come as a result of increased resources and attention for maintaining the relevance and beauty of this special place.